We can upgrade an oracle database using OEM 12c cloud control also. Here I will show how to upgrade database from 12.1.0.1 to 12.1.0.2 . 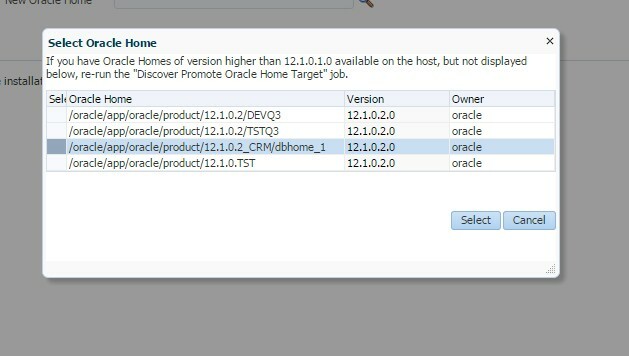 Note – Make sure that 12.1.0.2 ORACLE_HOME is installed. 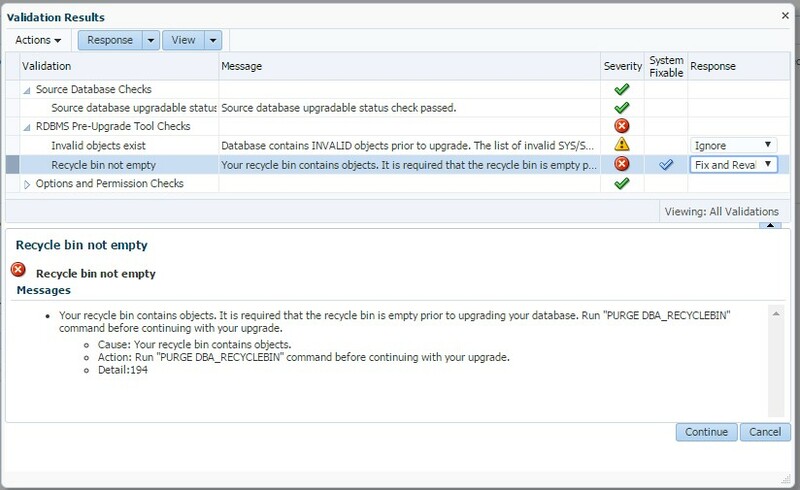 Before starting the upgrade, Enable flashback in the database, so that we can create a restore point during the upgrade, And if upgrade fails, we will be able to restore the database to before upgrade stage. Go to the HOMEPAGE of the database, which need to be upgraded. This step will do the precheck . Please take necessary action for the Validation results and retry the precheck. 5. De-select compilation of invalid object , as we will run utlrp.sql, once upgrade is completed. We can start the upgrade Immediately or schedule it for Later. Upgrade has been completed succcessfully.